Please note: This print is limited to 1 per customer. Orders in excess of 1 per customer will be canceled. 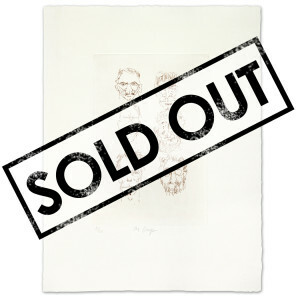 We are pleased to announce "The Guys," a unique etching by Jerry Garcia published as a limited edition, hand pulled photogravure to commemorate what would have been Jerry's seventieth year. The original drawing is a quickly sketched, incisive portrait of all the members of the Grateful Dead as it was in the 1990's – Bill Kreutzmann, Mickey Hart, Phil Lesh, Vince Welnick, Bob Weir, and Jerry Garcia. At the request of the Jerry Garcia Family, six additional impressions have been pulled as gifts for the six members of the Grateful Dead and their families. "The Guys" 6" x 9" image is printed on 11" x 15" sized paper fabricated and printed by master etcher (and Deadhead) Blue Acier Inc. in Tampa, FL. The etchings are printed on Somerset, 100% rag paper with the Jerry Garcia Family seal of authentication and Blue Acier's official chop mark. 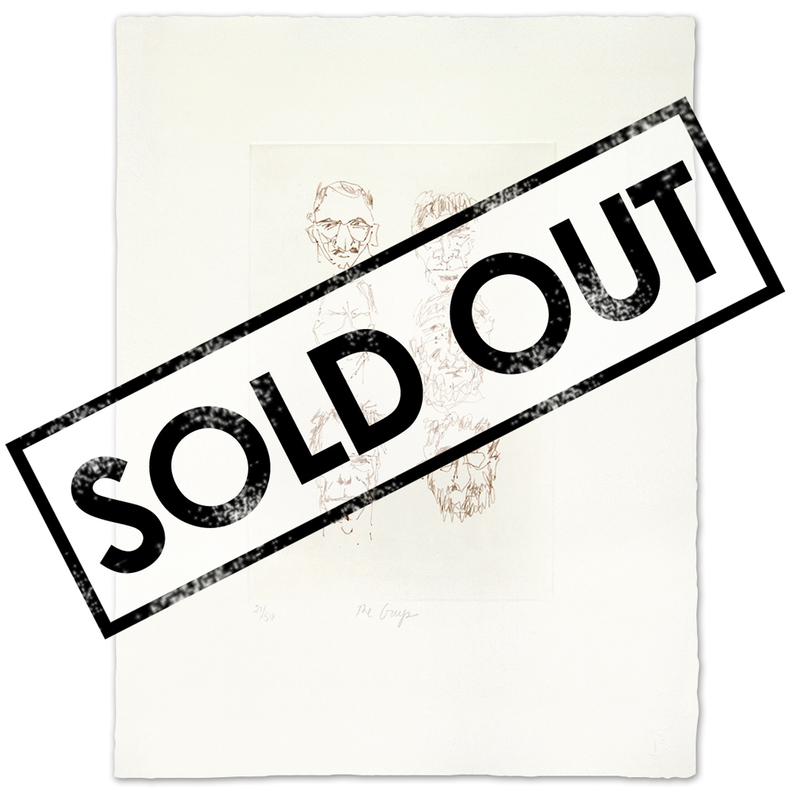 A certificate of authenticity embossed with the Family seal and signed/numbered by Jerry's daughter Trixie is included with each print. The pricing tiers are as follows: The etchings are limited to 50 with no reprints, and the first 20 will be available for $450. The next 20 will be listed at $750, and the final 10 prints will cost $1,000.